Located just north of downtown Indianapolis on the banks of the Central Canal, Broad Ripple Village combines an art community and green landscaping with hot shopping, nightlife and some of the city's most sought-after real estate. The eclectic charm of Broad Ripple invites both Indianapolis residents and visitors alike to enjoy its active and vibrant culture. A wide assortment of Broad Ripple real estate options are available, including turn of the century homes, new condos, and townhouses. Because the Broad Ripple area is so desirable and because room for growth is nonexistent, Broad Ripple homes typically don't stay on the market for long. In addition to renovated homes and bungalows, premium condominiums and townhouses make up a large portion of the Broad Ripple real estate market. Although many of these condo and townhouse communities are relatively new, their architectural style either mimics or enhances the features of the older style of Broad Ripple homes. 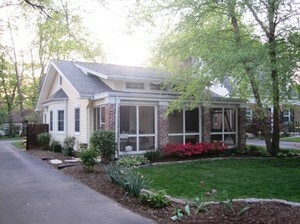 Search all Broad Ripple condos and townhomes for sale.